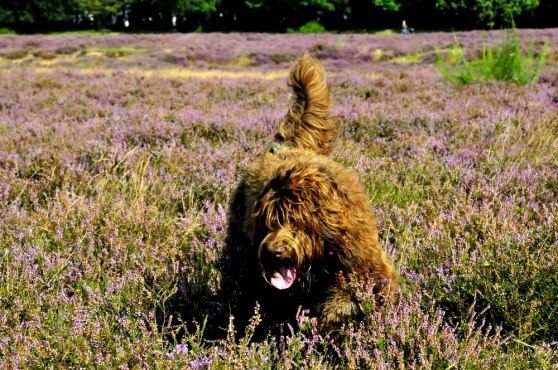 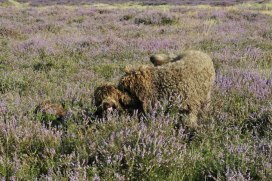 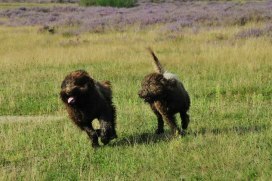 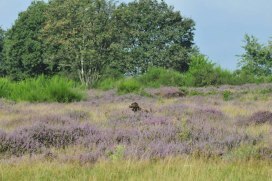 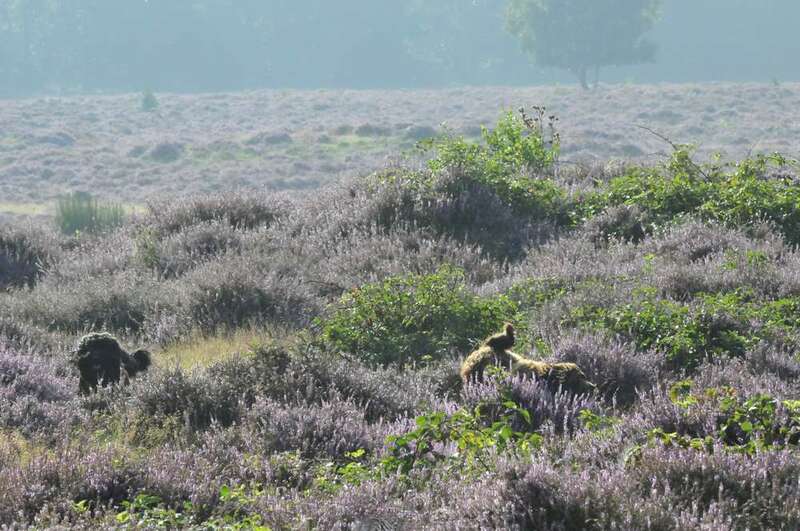 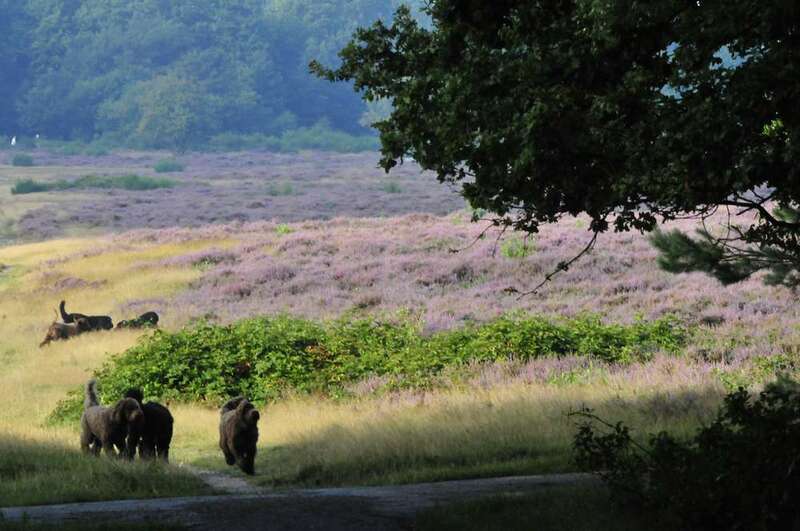 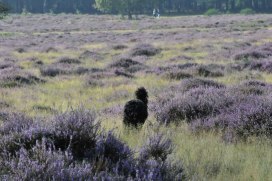 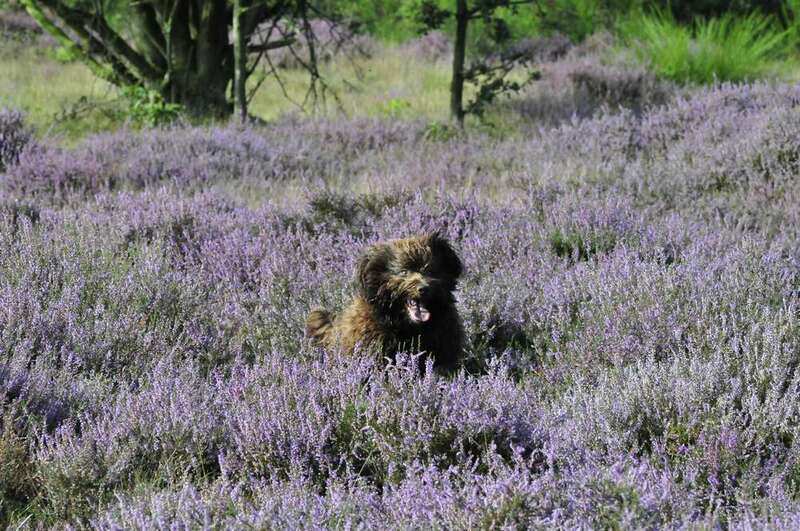 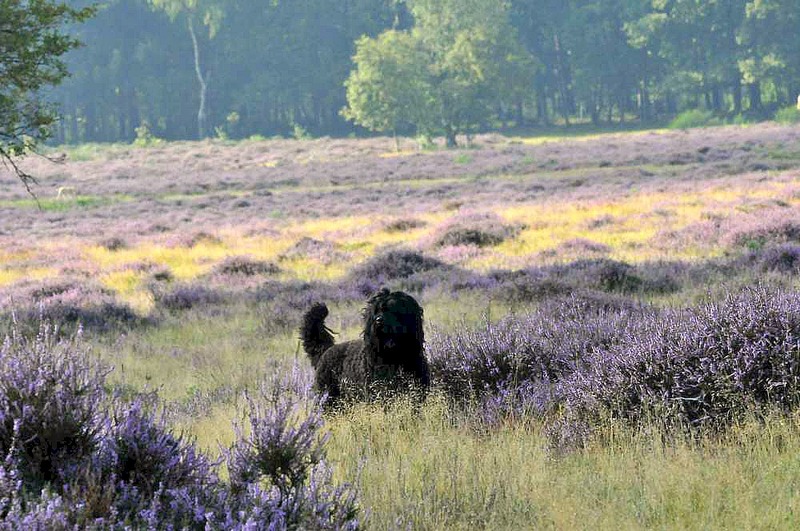 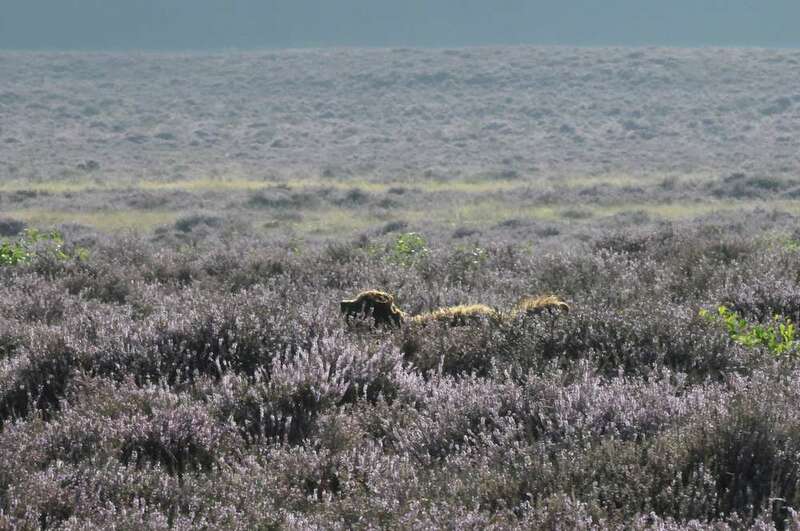 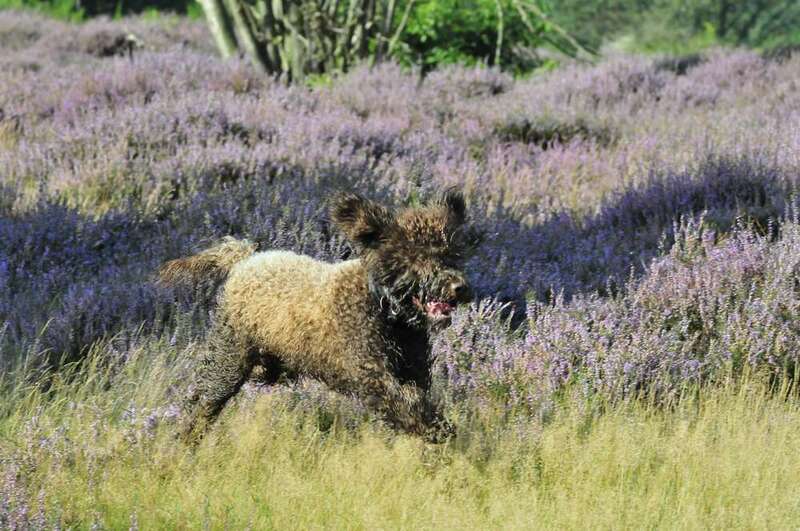 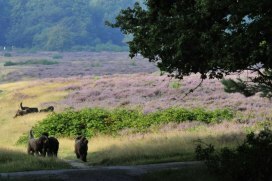 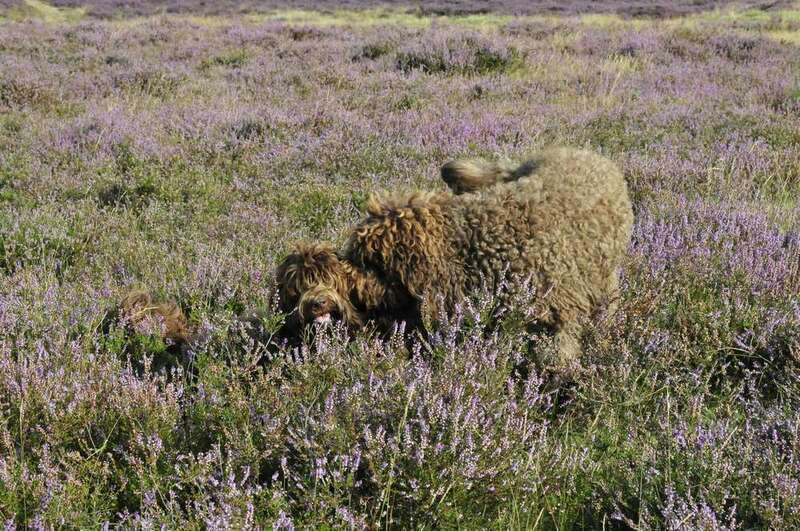 This time of the year one must not miss the beautiful moors covered with heather in the Hilversum area! 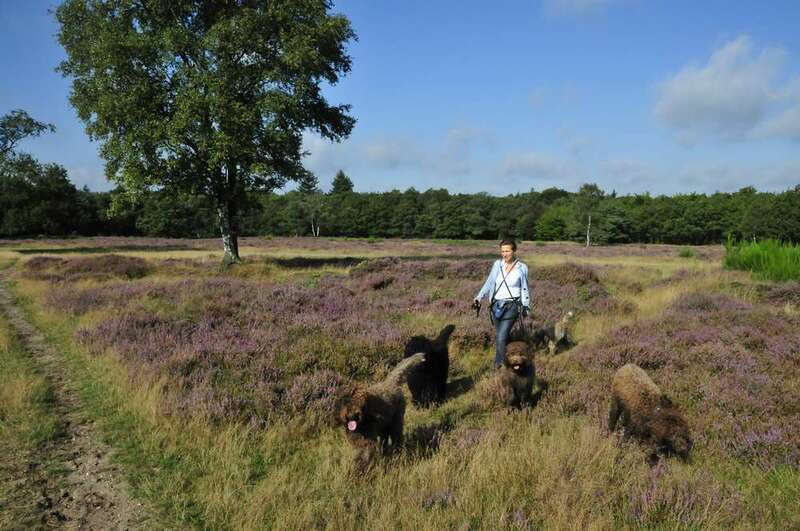 We spent the morning there with Brigitte Waller and all her dogs. 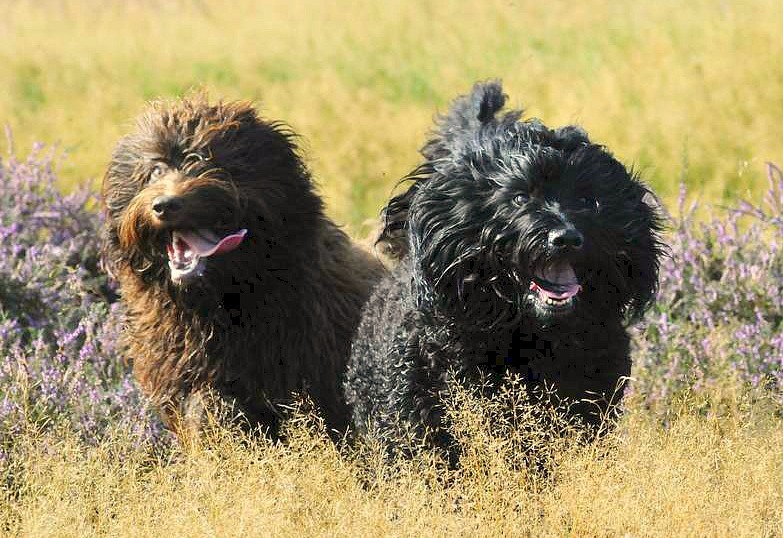 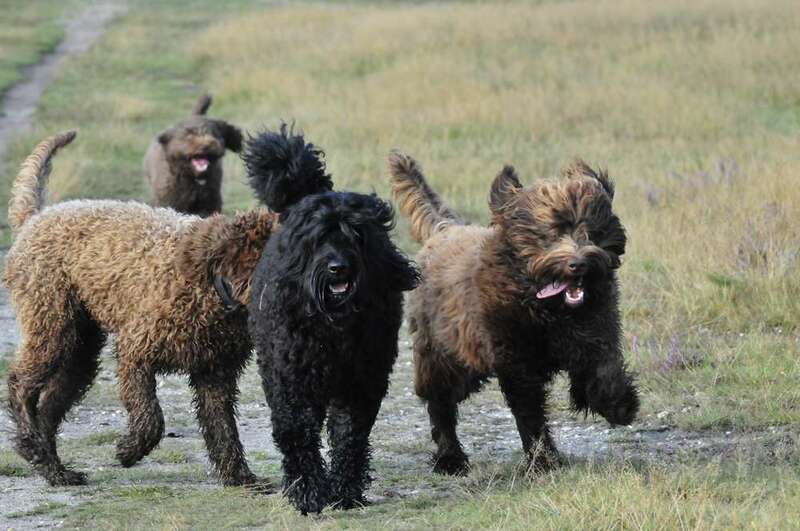 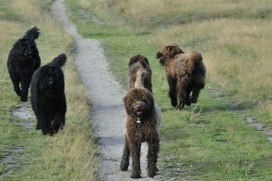 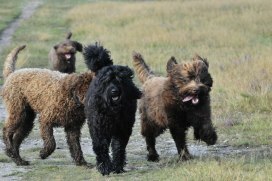 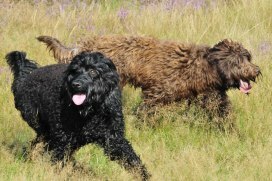 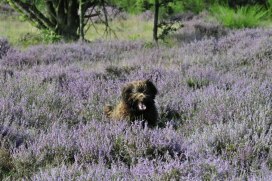 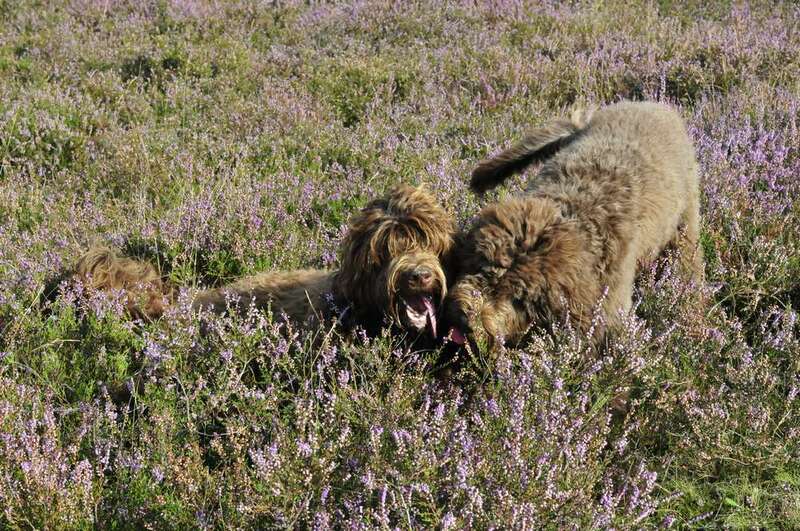 She just started up a Dogwalk service, Dog's Furry Tales, and all together there were 7 curly dogs running around - and getting lost - in the heather! Yes, Matz, an 8-month old puber male took off for some tempting girl we guess! 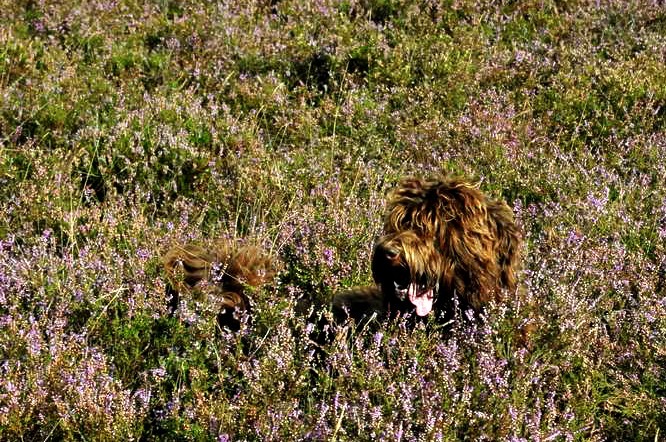 Luckily we found him rather quickly. 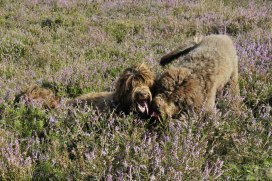 Moët layed down to rest, only her head sticking up, which caught the interest of both Fraise and Mouse who went to give her a kiss! 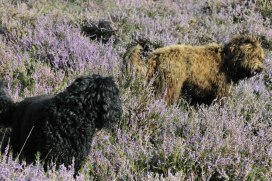 Matz - lost and found! 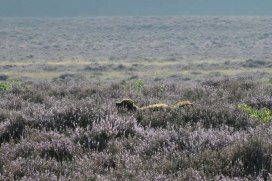 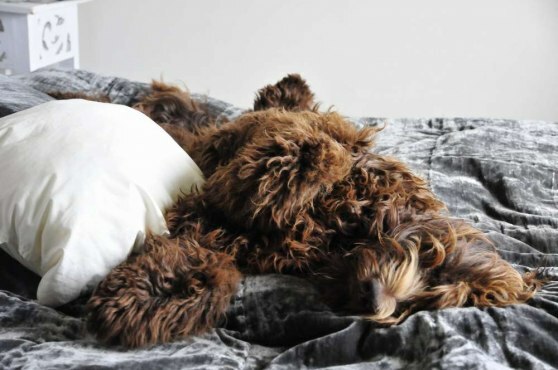 It is tireing to run on the moors!